Did multi-cultural societies become widely accepted in ancient history? Figure 1. 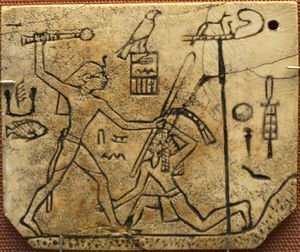 Pharaoh Den from the First Dynasty smiting his enemies from the "east." Multicultural societies are today common and ubiquitous, but when did such societies become not only normal or typical but accepted or even celebrated? Most likely, multi-cultural societies begin to evolve early in prehistory, as ethnic groups migrated to regions and integrated into existing societies. However, we rarely see multiculturalism celebrated until much later in historical periods when large states became the norm. However, what is clear in many of these regions is that one main culture prevailed in any given period, as seen in artistic and intellectual expression. This does not mean cultures were suppressed. On the contrary, integration and assimilation were common, where local customs, languages, and social norms were generally adopted by the population merging into a given urban society. Interestingly, even if that minority culture took power, often they retained the previous prevailing culture or even went out of their way to emphasize that culture through revitalizing older traditions and languages. We see this in Kassite Babylonia in Mesopotamia, for instance, where the ruling population was Kassite and from Iran or India, while most of the native population presumably was from southern Mesopotamia. This is likely unsurprising, as migrants presumably would have encountered a majority population and integrating into these majority populations meant that some level of assimilation was needed or at least to de-emphasize cultural expressions of a minority cultural group. In other words, societies may have been multicultural but multiculturalism was relatively limited, where expression of multiple cultures, such as multiple languages and clearly outward cultural expressions in the arts, within one society was rare. Nevertheless, many cases of denigrating or undermining populations do exist in the past. While this does not mean cultures were racist or hated other individuals, it is does mean that cultures emphasized their own accomplishments and achievements particularly in war, as it showed the superiority of their gods. In other words, to show the gods are with you then one may put down other people to demonstrate one's gods protects them from others. During times of conflict we see official art showing foreigners in being killed or taken captive, often being shown as either as inferior to the ruling state or at least as far smaller than the rulers who are victorious(Figure 1). The example of Naram-Sin, an Akkadian ruler, conquering his enemies shows them as creatures or even sub-human, perhaps helping to justify why he had to conquer them (Figure 2). Figure 2. Naram-Sin, depicted as god, destroying his inferior enemies. By the rise of the Achaemenid Empire in Iran, in the 6th century BC, we see a new form of rule emerging. On the one hand, empires now began to expand to much larger areas. In the case of the Achaemenids, their state reached from Egypt to Central Asia, and at times pushed into the northern shores of the Black Sea and southeast Europe to the Danube. With such a vast distance between regions, the new ruling dynasties needed new strategies to facilitate the maintenance of large states and enable populations within the large empire to accept their overlords. This may have led to the rise of multiculturalism, as we now begin to see more official celebration of different cultures within the Achaemenid state. For instance, in Mesopotamia, the Persian Achaemenid king depicted himself as Babylonian, while in Egypt we see depictions of the Achaemenid king as Pharaoh. The best example of this is from the reign of Darius I (522-486 BC; Figure 3). During the reign of Darius several representations of him as an Egyptian Pharaoh are depicted, including the rebuilding of important temples in Egypt. Before the reign of Darius, the Achaemenid king Cyrus was considered to write perhaps the world's oldest human rights manifesto. What is made clear from these kings is that the Persian Achaemenid Empire recognized its multi-cultural aspects and embraced it with open arms as a strength. Figure 3. 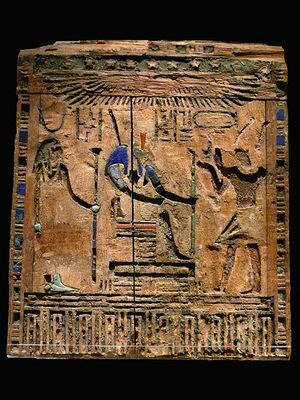 Darius I depicted as Pharaoh in Egypt. Additionally, it was during the Achaemenid period from the 6th through 4th centuries BC that the world multiculturalism seems to have been first used in any language. In other words, societies were now officially recognized that they contained many cultural groups and that was seen as an asset rather than something that was deemphasized in official propaganda. The glory of kings was now, in part, seen as having multiple people groups within the empire and the unity of many people in support of the king was something to be boastful about. In fact, it is the increase of wealth and trade that may have created the incentive for multicultural empires to become popular. Later empires, such as the Seleucids, Parthians, and Sassanian also largely adopted tolerant attitudes to their large, multi-ethnic states. Once again, trade played an important role in creating incentives for states to adopt and integrate foreign cultures, while allowing them to retain more clearly their own distinct identities. Not only in the ancient Near East but by the time the Roman Empire emerges in the Eastern Mediterranean and Near East, we see multiculturalism spreading to the Mediterranean basin. While the Romans did sometimes persecute faiths that they deemed threats, they also largely adopted a tolerant policy towards others cultures. The rise of common languages during this time, first expressed in Aramaic, also likely explains how multiculturalism flourished. In effect, while cultural groups were free to worship as they pleased in most periods and conduct their own affairs, common language enabled the creation of an identity that groups could relate with to enable the state and, more significantly, the multicultural system to persist. Therefore, while ethnic groups retained their own sets of ideas and religions, they were also integrated into a larger society where a common language allowed them to communicate with others more easily. Perhaps one good example of how multicultural ideas began to persist and penetrate societies can be found in the ancient city of Dura Europos, found in modern day eastern Syria. While this region might be known for strife and ravages created by ISIS today, the reality was very different in the 1 century CE. During that time, Dura Europos was a thriving small city that had such languages as Latin, Greek, Syriac, Persian, and others. The many temples and places of worship represented gods across Europe, the Near East, and India, reflecting perhaps the diversity of people found in the city. Cultures also began to influence each other. For instance, one famous find in the city is a synagogue with beautiful style frescoes. However, many of these frescoes were influenced or mixed Near East styles with classical art, showing that cultures began to borrow ideas from each other. This is something we call as artistic syncretism (Figure 5). What was happening was not bad copies of Classical art in the Near East, but art began to now be influenced by local cultures mixed with new populations who had come to the region, including Greeks and Romans. Figure 4. Reliefs from Persepolis depict Egyptian (1), Greek (2), and Assyrian (3) style influences (a & b). By the 6th-5th centuries BC, populations were heavily mixed in major population centres. Given this rise of multiculturalism, it is perhaps not surprising that when we do get the rise of Christianity and Judaism, religions that were universal and monotheistic, they seem to have been accepted or tolerated in many areas of the Near East ruled by Iranian dynasties, such as the Parthians and Sasanians, by then had a long experience with multiple cultural groups and beliefs. These groups recognized, perhaps, the benefits of keeping a united state through the tolerance to different groups, even those that emphasized a narrower worldview of salvation that Rome found so threatening. While this was never a smooth process, and persecutions against groups did exist, we see that attitudes towards multiple cultures allowed also the freedom to develop new thoughts and ideas, giving way to the rise of very different and new religions that attempt to bond people even closer through common and universal faiths. Figure 5. 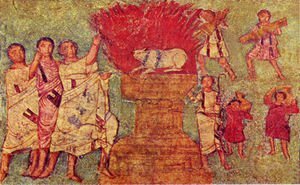 This synagogue painting shows a Biblical scene of the burning of the calf. While the story is well known, the art is influenced by Greco-Roman styles and mixes Near East elements. Multicultural societies have existed for millennia. However, how societies have adapted to multicultural realities has varied across time. In particular, the key shift we see in history is societies emphasizing one vs. multiple identities. However, rather than emphasizing one cultural unity, a celebration of diversity allowed states to begin to integrate very different populations, while practically sealing bonds through new economic links and incentives. Common languages soon rose that allowed the spread and continuity of a multicultural Near East. We see this emphasis happening most profoundly starting during the Achaemenid period, with this pattern mostly continuing in the Near East long after the fall of particular states, including the Hellenistic and later Roman and Byzantine states. The continuity of large empires in the Near East may reflect that social integration was relatively successful for many periods. In essence, populations saw the benefits of societies that were integrated while also maintaining their ethnic identities, where trade and economic benefits and linguistic commonality facilitated large, multicultural states to emerge and persist long after any particular state fell. How did Early Empires facilitate the Rise of Investment Banking? What was Plato's academy and why did it influence Western thought? Why was Alexander the Great So Successful In His Conquests? What Factors Led to the Creation of the First Cities? ↑ For information about historical migrations and multi-ethnic societies, see: Lucassen, Jan, Leo Lucassen, and Patrick Manning, eds. 2010. Migration History in World History: Multidisciplinary Approaches. Studies in Global Social History, v. 3. Leiden ; Boston: Brill. ↑ For information migrations and the adoption of local gods, see: Moret, Alexandre, and Georges Davy. 1970. From Tribe to Empire, Social Organization among Primitives and in the Ancient East. New York: Cooper Square, pg. 236. ↑ For information about how new, migrating cultures retained older cultures in given regions and the example of the Kassites, see: Ellerker, Sean. 2014. The Dawn of Civilization: 4,000-500 BC. Padstow: Matador, pg. 61. ↑ For more information about Naram-Sin and how early conquests displayed adversaries, see: Foster, B. R. 2016. 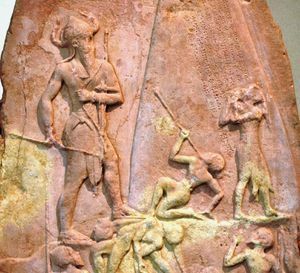 The Age of Agade: Inventing empire in ancient Mesopotamia. London ; New York, NY: Routledge/Taylor & Francis Group. ↑ For information about how conflict led to intolerance in the past, see: Clarke, Steve, Russell Powell, and Julian Savulescu, eds. 2013. Religion, Intolerance, and Conflict: A Scientific and Conceptual Investigation. First edition. Oxford, United Kingdom: Oxford University Press. ↑ For more information about the territories and regions controlled by the Achaemenid Empire, see: Waters, M. W. 2014. Ancient Persia: a concise history of the Achaemenid Empire, 550-330 BCE. New York, NY, USA: Cambridge University Press. ↑ For information about the Achaemenid kings and their tolerant policies, see: Curtis, John, Nigel Tallis, and Béatrice And́́́́ré-Salvini, eds. 2005. Forgotten Empire: The World of Ancient Persia. Berkeley: University of California Press, pg. 153. ↑ For information about the early use of the term multiculturalism, see: Daryaee, Touraj, Ali Mousavi, and Khodadad Rezakhani, eds. 2014. Excavating an Empire: Achaemenid Persia in Longue Durée. Costa Mesa, California: Mazda Publishers, pg. 9. ↑ For information about the multiple cultural elements in architecture at Persepolis, see: Babaie, Sussan, and Talinn Grigor, eds. 2015. Persian Kingship and Architecture: Strategies of Power in Iran from the Achaemenids to the Pahlavis. International Library of Iranian Studies 52. London: Tauris. ↑ For a case study of how trade and multiculturalism benefited each other in the period of the Achaemenid Empire, see: Jigoulov, Vadim S. 2010. The Social History of Achaemenid Phoenicia: Being a Phoenician, Negotiating Empires. BibleWorld. London; Oakville, CT: Equinox Pub. Ltd.
↑ For more information on these states and their histories in relation to multiple ethnic groups, see: Yāršātir, E., & Arberry, A. J. (Eds.). 2007. The Cambridge history of Iran. Vol. 3 (2): The Seleucid, Parthian and Sasanian Periods. Cambridge: Cambridge Univ. Press. ↑ For more information about Rome's relatively tolerant rule of foreign populations, see: Árnason, J. P., & Raaflaub, K. A. (Eds.). 2011. The Roman Empire in context: historical and comparative perspectives. Chichester, West Sussex, U.K. ; Malden, MA: Wiley-Blackwell. ↑ For information on how Aramaic plays an important social role, see: Folmer, M. L. 1995. The Aramaic Language in the Achaemenid Period: A Study in Linguistic Variation. Orientalia Lovaniensia Analecta 68. Leuven: Uitgeverij Peeters en Dép. Oosterse Studies. ↑ For more information about common languages in the Near East in the Classical Age, see: Noble, T. F. X. 2013. Western civilization: beyond boundaries (Cengage advantage edition, Seventh edition). Boston, MA: Wadsworth, Cengage Learning, pg. 149. ↑ For more information on how Classical art influences and blends with Near Eastern art and styles, including in religion, see: Reid, P. V. 1987. Readings in Western religious thought. 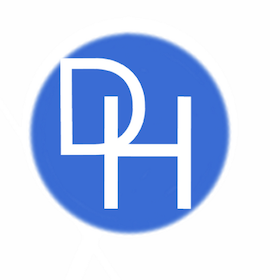 New York: Paulist Press. ↑ For information on religious tolerance in the Parthian and Sasanian periods, see: Curtis, John, Vladimir Grigorʹevich Lukonin, and British Museum, eds. 2000. Mesopotamia and Iran in the Parthian and Sasanian Periods: Rejection and Revival C. 238 BC-AD 642: Proceedings of a Seminar in Memory of Vladimir G. Lukonin ; Funded by a Gift from Raymond and Beverly Sackler. London: Published for the Trustees of the British Museum by British Museum Press. ↑ For information on how nationalism shaped the more modern Near East, see: Schumann, Christoph, ed. 2010. Nationalism and Liberal Thought in the Arab East: Ideology and Practice. SOAS/Routledge Studies on the Middle East 10. London ; New York: Routledge. This page was last edited on 22 November 2018, at 14:12.